This is one of the pho dishes that I normally get, pho tai nam gan sach (rice noodle with beef flank, rare beef, tendon, and tripe) $6.75 for small. I normally ask for extra tripe and no tendon, and the owner is glad to accommodate my requests. As you can tell from the picture, the broth is pretty light in colour and clear. 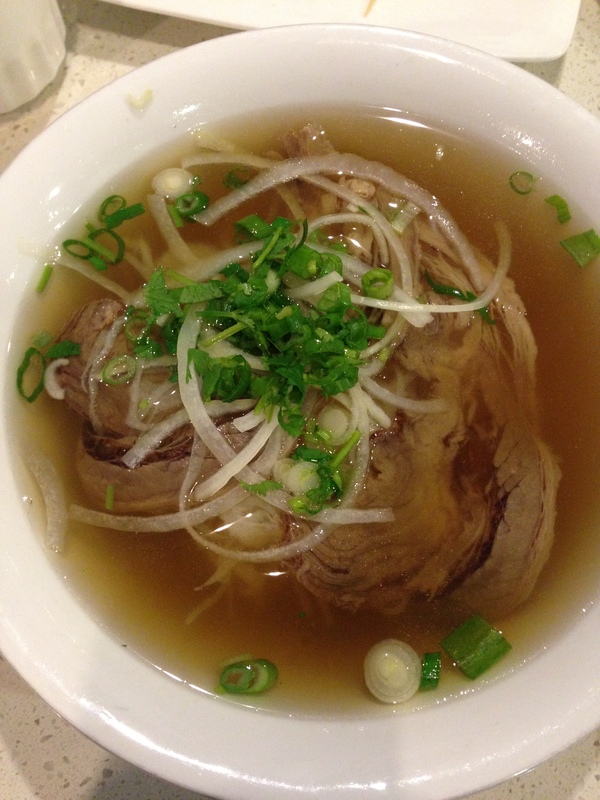 Although the broth is lighter, the flavour of the pho itself isn’t sacrificed. It really reminds me of home cooked pho due to its light but delicious flavour- really only a broth that a mom/grandmother could perfect! But somehow, they accomplish it! The noodles are also cooked perfectly, and do not clump together. 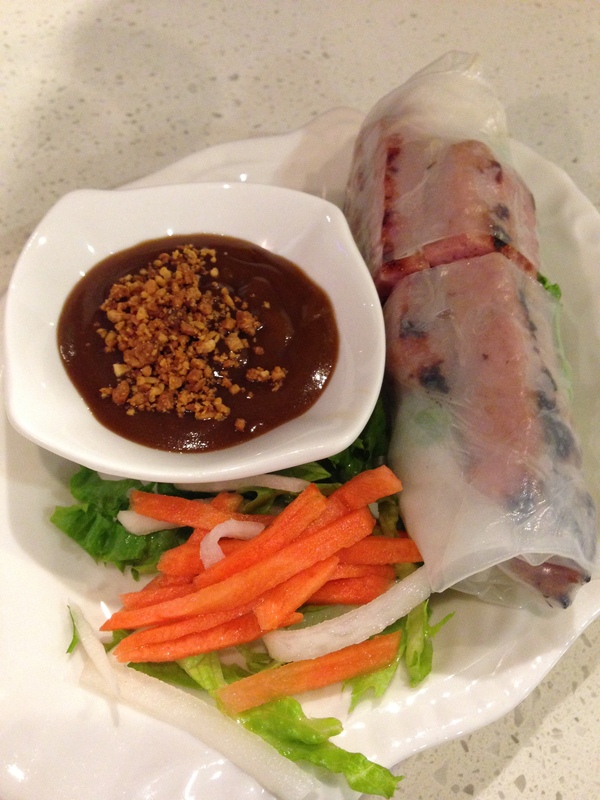 This is the nuong cuon (salad roll with grilled pork) ($3.50). This dish is pretty tasty due to the marinated and grilled pork. The wrap also isn’t that sticky, so pretty easy to eat. There is also vermicelli and lettuce inside the wrap. In addition, the roll comes with a peanut butter (I think there’s also Hoisin sauce in it?) dipping sauce which complements the flavour. 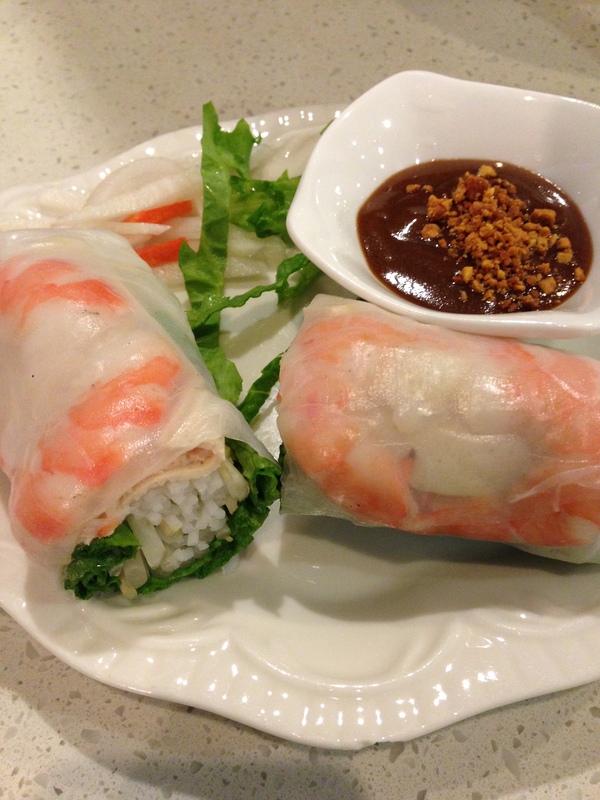 This is the salad roll with shrimp & ham, goi cuon ($2.95 for 1 roll, $5.50 for 2 rolls). Nothing too special about this dish, but I love ordering it when I’m not that full yet and want something light. All the vegetables taste really fresh and crunchy. I find that their slice of ham isn’t as big as other restaurants. 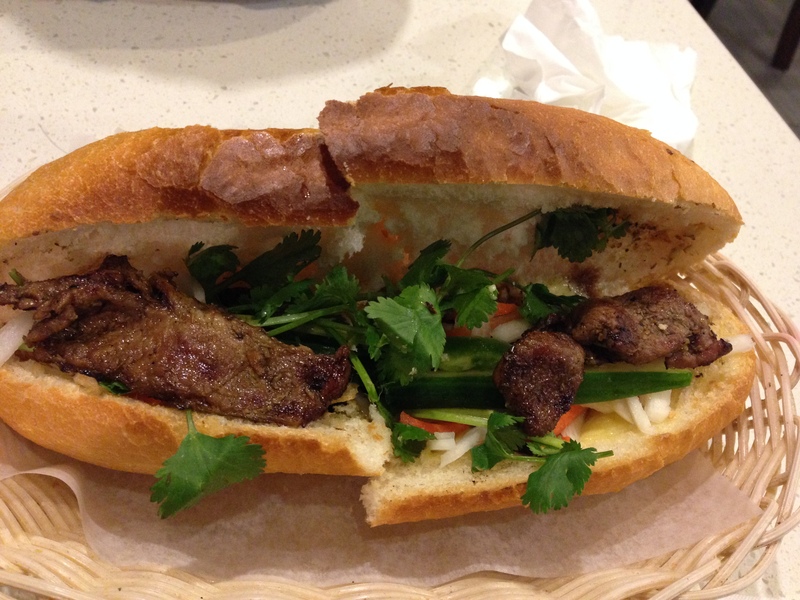 This is the banh mi thit nuong ($4) grilled pork with vegetables and hot pepper, toasted on a french bun. The bread is super crunchy on the outside, but soft in the inside. I love this sub because there is an equal amount of meat to vegetable. The vegetables, again, also taste really fresh (Look at that fresh, yummy cilantro!). I normally dip every bite into hot sauce and it’s delicious!